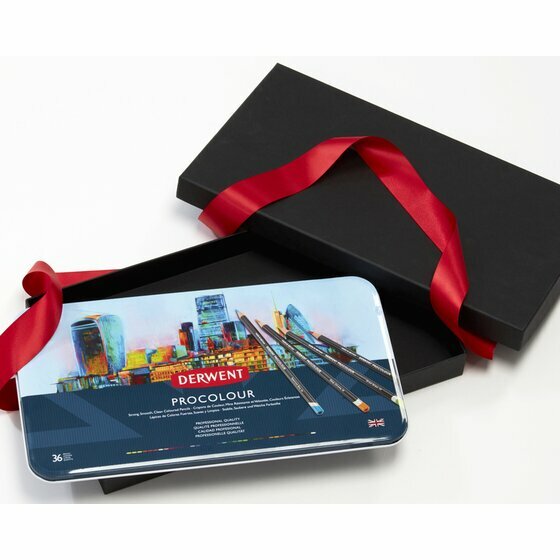 Derwent Coloursoft is our softest pencil ever and for this range we created 72 vibrant colours. As their name implies they have a really soft texture which brings out the richness of the colour that, together with their nice wide colour strip, allows you to build up colour really quickly. 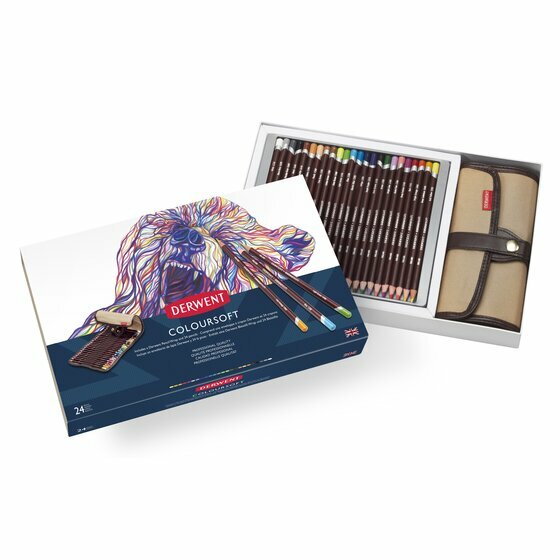 So, if you like doing bold still-life drawings or contemporary landscapes then Derwent Coloursoft is the range for you. The Coloursoft Wrap set includes a set of 24 Coloursoft pencils and our classic Pencil Wrap. It is a stylish and practical accessory with individual compartments to hold up to 30 pencils and accessories. Rolls up small and compact when travelling and rolls out flat for easy access to contents when you are out and about.